If you're planning a weekend at Disneyland, you need to have a good strategy. These are the things you really need to know. Why Should You Go? Will You Like Disneyland? It isn't the best place for those who love those colossal, fast, turn-you-upside-down roller coasters. The best time to go to Disneyland depends on too many factors to give a simple answer. Find out about the pros and cons of visiting Disneyland in every season. Unless you live very nearby, and it takes only a few minutes to get there, you can spend about a day and a half in the park at the most during a weekend getaway. That makes it super important to find out how to stay out of line and how to get and use a FASTPASS. Our readers' favorite rides: This list is compiled from tens of thousands of votes by our readers. It might help you narrow down your choices. 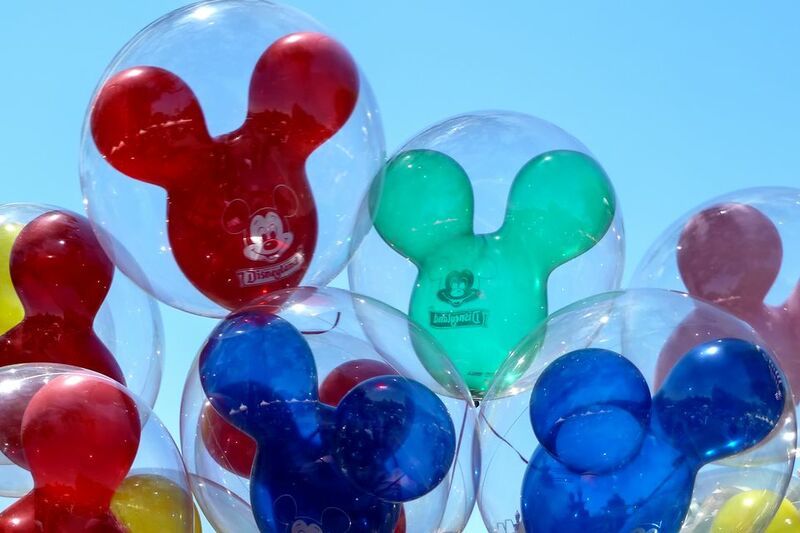 Celebrate a Birthday at Disneyland: Find out all the ways to celebrate and how to get people to say "Happy Birthday" all day long - even if the day you visit isn't actually your birthday. Disneyland Ride Guide: If you need some guidance, we've got the lists. Check out the rides by height restriction, rides good for kids and find some cool places for a hot afternoon. New Disneyland Rides: If you've been to Disneyland before, this guide will help you find out what's new this year - and what was new in the past few years. Disneyland shows and entertainment: There's more to do than just the rides, you know. In fact, you could spend an entire weekend just taking in all the shows, parades, and other entertainment. If you're planning a getaway during the holidays, Disneyland gets all gussied up for Halloween and then changes its decor for Christmas. Other crowd-catching events at Disneyland include high school grad nights, Gay Days and the Disneyland Half Marathon. Check the month-by-month guide to find out what else might be happening during your visit. These Ways to be a Smart Disneyland Visitor will also help you pack maximum fun into a short visit. Know your ticket options. If you understand the ticket system, you can save money. Buy in advance if you can, to keep out of line at the ticket booth. Playing at Disneyland is enough to keep you busy for a weekend, but you've gotta eat something. Find out where to eat at Disneyland. Check our recommended hotels and campgrounds.